HR Survey: Where Do You Get Your News? 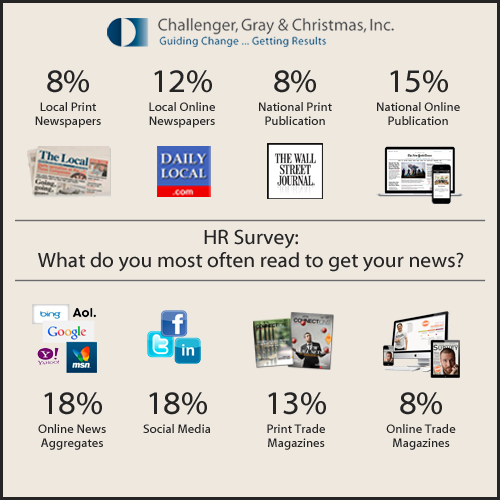 | Challenger, Gray & Christmas, Inc.
HR Survey: Where Do You Get Your News? In a survey of over 300 HR executives, Challenger found that 18 percent of respondents got their news from social media. Another 18 percent read online news aggregates, such as Google and Yahoo! News, most often for news.